Jay-Z's Tidal streaming service provides Hi-Fi music to a mainstream audience. Even better, Tidal can do this without blowing out your eardrums, because it's easy to enable volume normalization so that one track isn't louder than the next. Tidal officially calls this setting "Loudness Normalization," and it provides a consistent volume between various tracks — in other words, you won't have to constantly adjust the volume when tracks change. For many individuals who don't like the sudden change in volume levels, this feature is a must for any music streaming service. I'll show you how it works below. 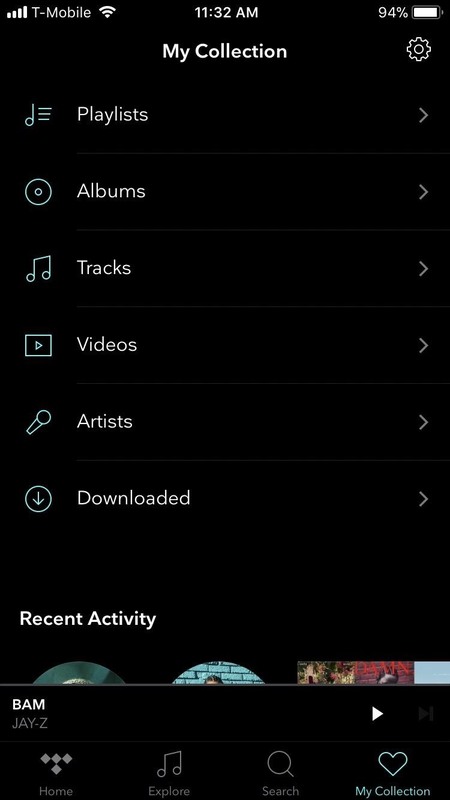 First, open Tidal for Android or iOS, then select My Collection in the bottom-right corner of the screen. Next, tap the gear icon in the upper-right corner to open the Settings menu, then select "Loudness Normalization." The first option here is a toggle labeled "Enable Normalization." Enable this toggle, and now songs will play at a consistent volume. Under the "Enable Normalization" toggle is a slider named "Pre-amp." Tidal uses an open standard to achieve loudness normalization, and under this standard, loudness is measured in Loudness Units relative to Full Scale (LUFS). With 0 dB being full scale, LUFS is a negative number measuring the reduction of loudness from 0 dB. Tidal's default loudness is -14 LUFS (represented by +4 dB). For a simpler explanation, just know that with this slider, you can adjust the loudness at which your audio will normalize by sliding right for louder audio, or sliding left for quieter sound (-18 LUFS to -6 LUFS). In other words, songs will max out at the level you select here. Tidal has tried to address all customers' needs with the inclusion of loudness normalization. By allowing you to adjust the level, they've preemptively solved the issue that Spotify users have where volume normalization results in a perceived reduction of quality. But normalization can still distort sound, so Tidal addressed this by giving you the choice to turn it on or off. So whatever side of the fence you are on, you can still enjoy Tidal's extensive library of music in a manner that's pleasant to you. Do you use loudness normalization? Let us know in the comment section below.